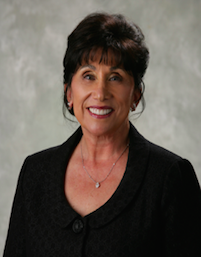 As a well-respected and sought after litigation attorney, Maria M. Rullo is recognized for her achievements over the last 38 years practicing in Southern California. Maria also specializes in transactional matters including 15 years as General Counsel. Currently, Maria serves as “Of Counsel” for the firm in its litigation practice handling employment practices, personal injury, and commercial and eminent domain cases. She began her legal career in Health Care Law representing hospitals and medical group practices across the country in license and compliance issues. She then moved to full time litigation specializing in Insurance Bad Faith defense with the firm of Hill, Genson, Even, Crandall and Wade. Maria then moved to General Counsel for the Roman Catholic Diocese of Orange where she was responsible for the management of all legal transactions for 59 churches, 52 schools, Pastoral Center, Cathedral complex and a planned Assisted Living Community. During this time, Maria was responsible for the mediation, negotiation and settlement of 95 clergy abuse cases over a 2-year period, culminating in the first church settlement of abuse cases in California. She led the legal team for the $57.9 million acquisition, purchase and leaseback of the 39-acre iconic Crystal Cathedral and assisted in the ongoing transformation to Christ Cathedral.